A RAP or Remedial Action Plan is a cleanup plan for restoring the environmental quality of an Area of Concern (AOC) such as the Detroit River. The RAP is administered locally in accordance with the Canada-U.S. Great Lakes Water Quality Agreement (GLWQA) and the Canada-Ontario Agreement (COA). The RAP is an ongoing collaborative effort implemented by federal, provincial, and local governments as well as industry and public partners. Stage 3 is the final document providing evidence that the beneficial uses have been restored and the AOC can be “delisted”. The Stage 1 RAP identified several environmental problems affecting the Detroit River AOC including habitat loss, contaminated sediment pollution, point source discharges from municipal and industrial sources, and non-point source runoff. The Detroit River Canadian Cleanup recently completed its Stage 2 RAP Report which provides an updated status of the beneficial use impairments and describes actions required to meet specific delisting criteria for the Canadian side of the River. The Stage 2 RAP Report was completed in June 2010. Click here to view/download a copy of the Report. 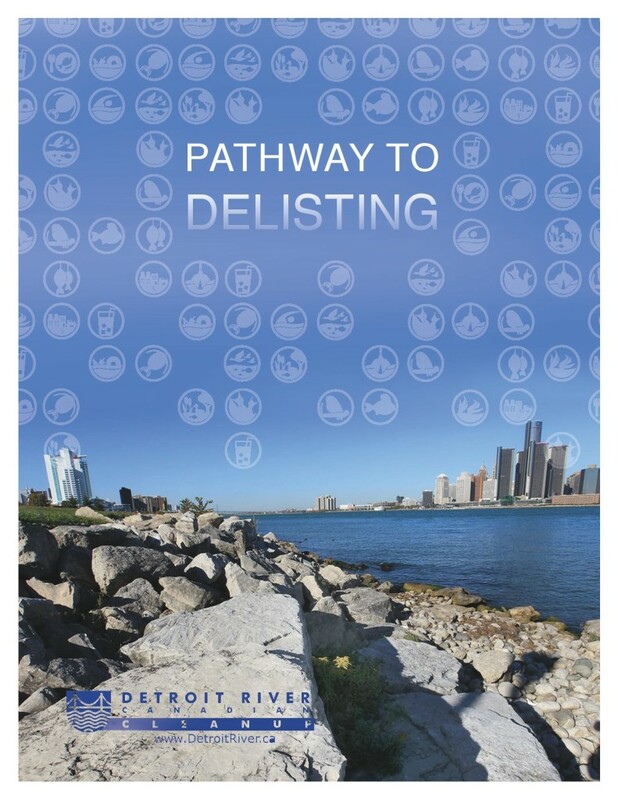 The purpose of this continually evolving document is to identify the remaining actions necessary to delist the Canadian side of the Detroit River as an Area of Concern. This strategy provides specific targets to achieve, helps identify gaps in monitoring data, and allows us to measure our progress step-by-step. Over the coming years, it will become a critical guide for all partners of the DRCC.